Do you like to guard the brand new painting of your vehicle from fading? If you prefer to change the frontal look of your car, then get it wrapped with vinyl from us. Yes, we at Alfa TInt & Detail offer the best car vinyl wrapping services in town to give the car an upbeat look. Our service staffs are certified professionals licensed to carry out the car warping to get the look that you had wished for. There are 4 different varieties of vinyl car wrap brands that we deal with, namely: Arlon, 3M, Avery Dennison and Oracal. With different products, you will have a wide variety of color options to choose from. The regular wear and tear of the paint on cars is protected by making use of the 3-4 mm thick vinyl wrapping. It is 100% safe and helps to protect the vehicle’s exterior paint for a long time. No, it is not a permanent solution to shield the car paint. If you ever think that you want to get the same old look, you just need to remove the wrapping and place a new wrap. 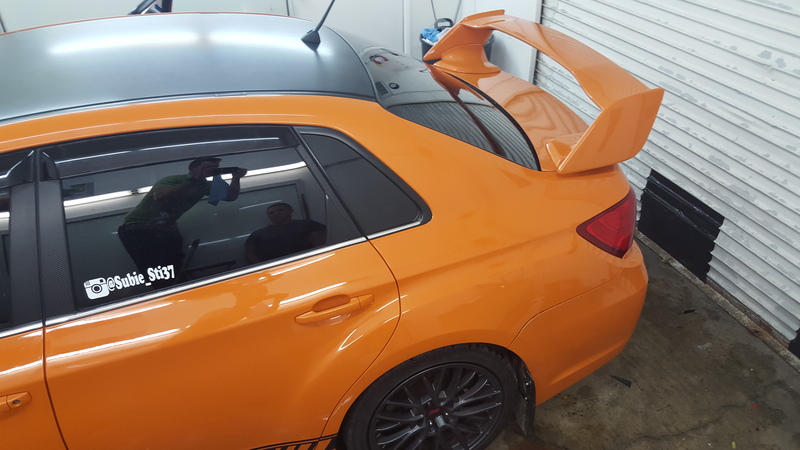 You can remove the wrap completely without any issues and keep the car’s original paint also. It depends on the type of the vehicle you are using and the color you would prefer. There are people who only cover the hood, the roof, the fenders, etc., of their car. So, to know more about the cost, just call us at (916) 670-0713 to get the best quote! What Colors are on Offer as Vinyl Wraps? You have the option of choosing any color you like that are offered by the 4 dealt brands. You can check out the samples that we have when you come and meet us. You will be able to decide easily pick the color that suits the car and matches your style. Once you do that, we will be more than happy to provide a free estimate for wrapping your vehicle. How Long does the Wrapping Last? The wrapping on the car might last for many years if you take care for your vehicle. Do not expose the wrapping to sunlight very often. It also depends on how neatly the wrap is applied. The vinyl wrapping on a vehicle can last for about 5 to 7 years, under proper safeguarding and care.